Hardly a day passes when adolescent mental health is not in the news. Dr Cathy Atkinson, Senior Lecturer in Education and Child Psychology at the Manchester Institute of Education, and Lucy Wilkinson, sixth-form student at Altrincham Grammar School for Girls, discuss their research into student-led mental health initiatives at AGGS, and suggest that this approach should be adopted in other schools around the UK. Recent government proposals have explored how adults in schools can support mental health strategies, but have overlooked the potential for input from young people. At Altrincham Grammar School for Girls, student wellbeing ambassadors are working to raise awareness and promote the importance of mental health. This approach can be rolled out across the country. Department of Health figures suggest one in eight children and young people has a recognisable mental health problem, with the most vulnerable aged 11-19. Recent government proposals have explored how adults in schools can support mental health, but have overlooked the potential for input from young people; perhaps surprising given that the United Nations Convention on the Rights of the Child advocates that young people should be able to express views on matters affecting them, and that due weight should be given to these views. While there is little published evidence of students being consulted about school mental health strategy, what would happen if we were to go a step further, allowing young people to be at the centre of strategy development? Lucy, a 17-year-old student (Year 12) at Altrincham Grammar School for Girls, takes up the story of how students, in the role of wellbeing ambassadors, are working to raise awareness and promote the importance of mental health. The ambassadors hope to reduce stigma surrounding mental health, and to ‘break the silence’ on discussions with peers about mental health issues. Altrincham Grammar School for Girls is a high-achieving, state-run, selective entry school. The competitive culture between peers is often a catalyst to work-based anxieties, with girls feeling pressured to attain high grades. It can be difficult to manage the intensity of school work, a social life, exercise and making time for family. Sleep and periods of relaxation are sacrificed to maintain the pace of life that students believe is necessary. When issues arise, they can be kept ‘bottled up’ by the individual, in fear of seeming ‘weak’ by others, or expressing a problem which is less ‘justified’ or ‘important’ than another person’s. The group of wellbeing ambassadors was set up four years ago, in the hope of changing the way our school manages the emotional health and wellbeing of students. One of our most important targets is to reduce the stigma surrounding mental health, so more young people can talk about their problems and be aware of several support services. Mental health is not talked about enough between young people; students are unsure of what it is and the steps they can take to improve their wellbeing. Rather than isolating worries within the individual, we need to develop a system of open discussion, thus allowing people to connect and share in similar anxieties. It is difficult for students to self-assess their own level of mental health, meaning they don’t know how ‘important’ their issue is. Therefore, as well as promoting awareness and encouraging discussion, we also want to offer opportunities for self-assessment, and provide a multitude of easy-to-access services catered to each level of mental health. Determining common stress triggers – By establishing common stress triggers in each year group, we could tailor mental health campaigns around widespread anxieties. As a group of older students, we have experienced various stresses in each year, from making friends and becoming integrated in a new school community in the younger years, to exam and revision stresses in later years. With this experience, we reassured our peers that being stressed is a normal part of school life and gave them some simple tips for managing anxiety. Designing a mental health flowchart – Upon analysing a medical mental health continuum, which we found to be too clinical and off-putting to students, we designed and created a new mental health flowchart – ‘The Guide to a Healthy Mind’. It incorporates a fun quiz, containing questions we devised with educational psychologists. These determine the student’s level of mental health and at the end of the quiz there is information about how the individual can improve their wellbeing. In addition, there is a list of services available in and outside of school, tailored to each level of mental health. Most students are unaware of these services, so our work to outline them to all is vital. The flow chart can be found in every student’s planner, and on our school website. Unveiling of a mural version of the mental health flowchart by one of the guest speakers, in the central location of the dining-room corridor. Creating calm spaces and sharing our work with others – We have created a safe space for people to go to in times of stress, the ‘Wellbeing Room’, as well as running new lunchtime clubs, such as ‘Mindful Arts Club’. Our impact has stretched beyond Altrincham Grammar School for Girls, through sharing our work at formal meetings with Bright Futures Educational Trust; creating a video for mental health conferences in Brighton and Manchester; and presenting at a national head teachers’ conference. Moreover, our efforts have recently been published in the Pastoral Care in Education journal. We hope that the above gives a flavour of what is achievable when students are invited to contribute to mental health strategy in school. We believe that this sort of initiative is fundamental to ‘breaking the silence’ about mental health, and to developing systems which reflect the needs and priorities of students. At the University of Manchester, we will be undertaking further research about student-led mental health initiatives in other schools, but in the meantime, we hope that this blog will inspire other schools to put students at the heart of their mental health strategy, and we encourage Parliament to consider how students in schools can support mental health. 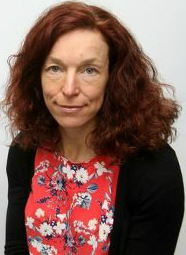 Dr Cathy Atkinson is the Curriculum Director of the Doctorate in Educational and Psychology within the Manchester Institute of Education and a Health and Care Professions Council (HCPC) registered Educational Psychologist. 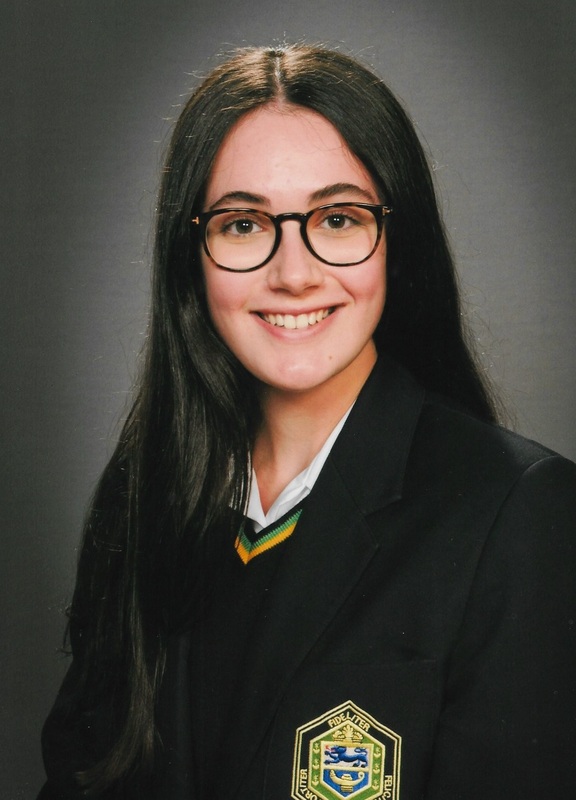 Lucy is a sixth-form student at Altrincham Grammar School for Girls and a wellbeing ambassador, working to raise awareness and promote the importance of mental health within her school.